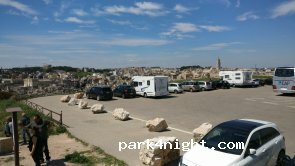 Grand parking panoramique de jour gratuit offrant une vue d'ensemble sur les "Sassi" de Matera. Idéal pour le pique-nique. Ne permet pas d'aller visiter les Sassi. Pour cela il faut se garer sur le parking dédié aux camping-cars au centre ville. Pas de service. 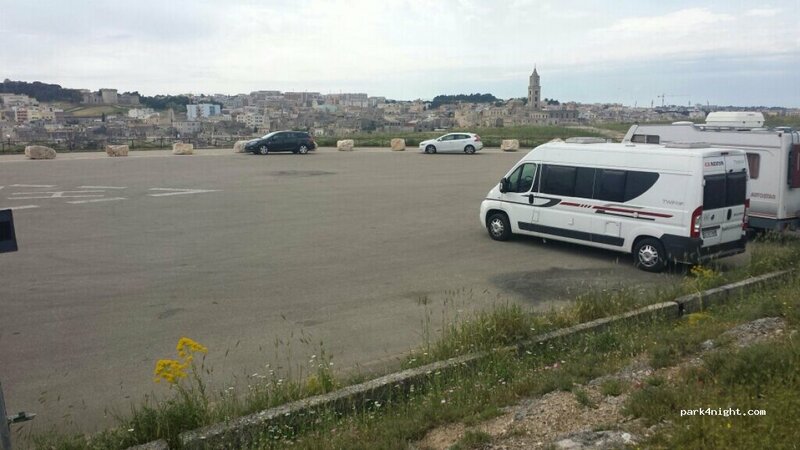 Large free carpark offering a panoramic view of the Matera 'Sassi' and walks down into the gorge. Officially no overnight parking here although it doesn't seem to be enforced. 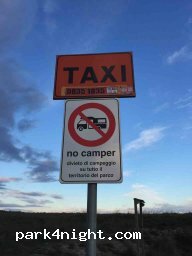 Do not go to visit the Sassi from here - for this it is better to park in the dedicated camper parking in the city center. No services. Fairly level. Offiziell nur für den Tag, aber wir hatten keine Probleme. Es waren auch noch mehr Wohnmobile da. Uns hatte ein Touristenführer vom vorherigen Parkplatz hierhin zur Übernachtung verwiesen. Müllkontainer vorhanden. 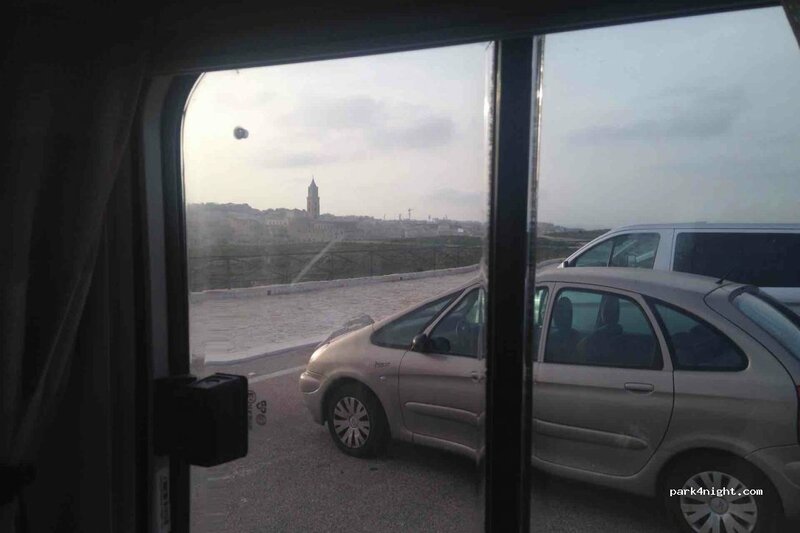 Sonst kein Service, aber toller Blick auf Matera. Auch nachts kommen immer wieder Autos für kurze Aufenthalte. Ampio parcheggio panoramico con vista panoramica sui Sassi di Matera. Ideale per il picnicking. Non permette di visitare i Sassi. 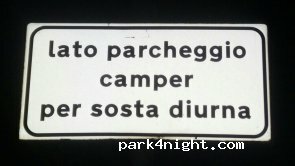 Per fare questo, parcheggiare nel parcheggio dedicato ai camper nel centro della città. Nessun servizio. Parked here for the day to do some hiking. As soon as we parked up a grumpy souvenir guy came to tell us that campers are not allowed and that the police will take your registration. 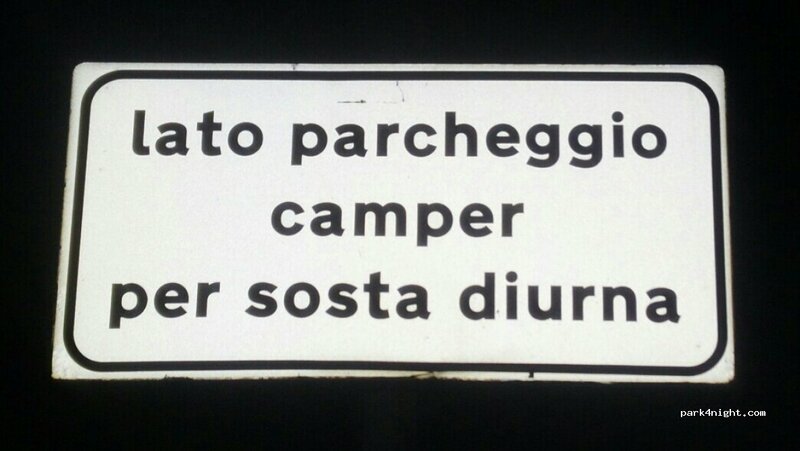 I told him that the sign says ‘camping is forbidden’ so we are allowed to park here daytime to do hiking. So if you see this guy, just ignore what he says. We spent 3 hours here, the police drove by and said nothing :) We didn’t wanna risk sleeping here (and to be honest we get the vibe this would be a lovers corner at night) so we drove to the wild spot 7 minutes from here which is quiet and has an amazing view over the Sassi! Perfect spot with spectacular view on Matera and the canyon. Unfortunately the bridge down in the canyon was closed, so it was not possible to hike to the town. I spend one night here, despite the clear signs stating that campervans are forbidden, nevertheless I moved the day after and stayed at another spot for the second night. I did not want to challenge my luck again. Due to the signs, I can imagine that especially during the main season, staying overnight here may become difficult and more controlled than now, being here in the off- season. Up to you to take the risk or not! Oh, if the wind goes, then you will surely feel it here on top, as there is nothing around to break the wind in any way! Wir hatten im März eine ruhige Nacht. Perfekter Platz mit super Sicht auf Matera! Er staan allemaal borden dat je hier niet mag overnachten. Ook al hoef je je daar in Italië niet al teveel van aan te trekken maar wij durfden het toch niet aan om hier te overnachten. Wel een prachtig uitzicht hier! Effectivement belle vue mais un employé fait partir les camping-cars. 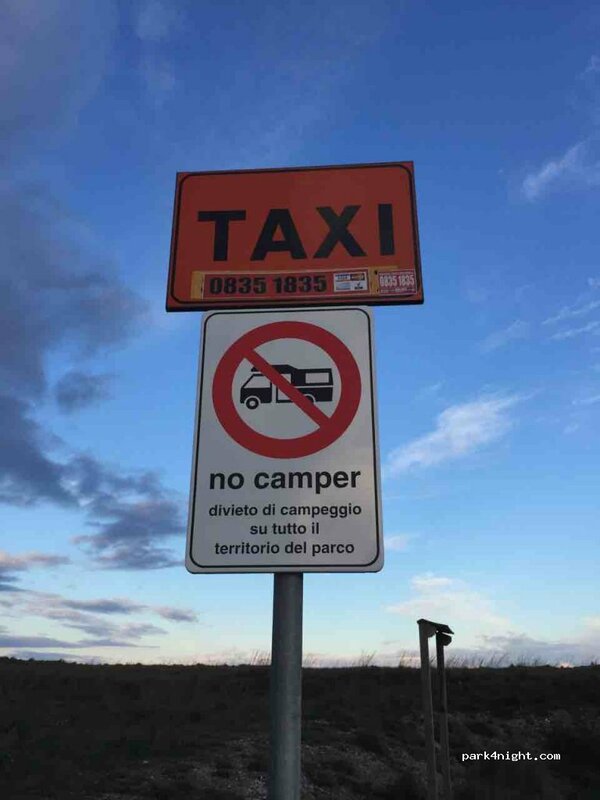 Although there is a sign which says "Lato parcheggio camper per sosta diurna" (which I think broadly translates to no overnight parking), we parked peacefully here for the night. Reasonable number of tourists came and went in the evening to take photos of Matera at dusk/in the dark and there were some cars that came later, presumably for 'romantic' purposes. Carpark got busy from 9AM. Nous y sommes restés la nuit tranquillement avec la ville éclairée c'était magnifique. Personne ne nous a dit quoique ce soit même avec notre camion aménagé très voyant. Et balade le long des gorge le matin sans personne c'est parfait. Nice park4day place to make some photos from the city and start a hike. You find 5 min from the place some caves! Le parking est en travaux en ce moment. Fermé. Je conseille de venir ici avant de visiter la ville de Matera et ses sassi. On embrasse tout la site, classé au patrimoine mondial de l'UNESCO, d'un seul coup d'œil. Venir plutôt en matinée ou à la mi-journée, pour bénéficier du meilleur éclairage. L'après-midi, le soleil sera à contre-jour. Laisser le camping-car sur le grand parking et descendre au bord du ravin pour avoir la meilleure vue.